Mongkolpetch Petchyindee Academy’s debut with The Home of Martial Arts was nothing short of spectacular. 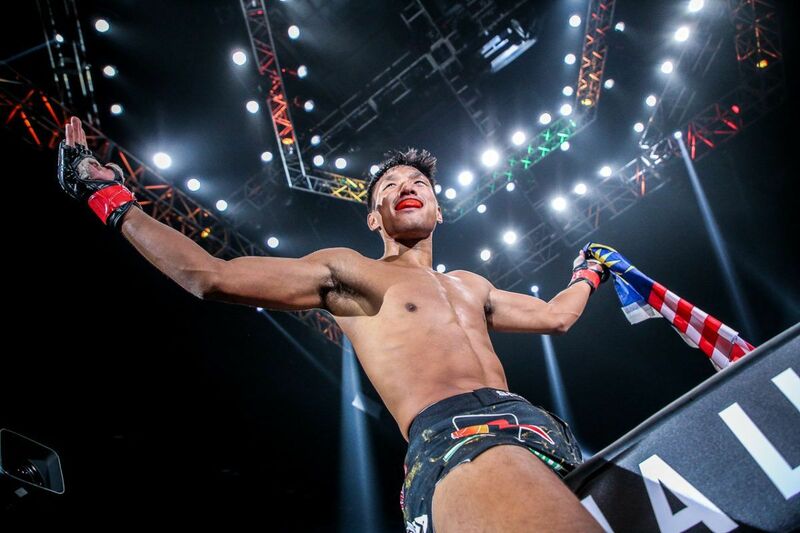 Last month, the 23-year-old from Roi Et, Thailand premiered in the co-main event of ONE: ETERNAL GLORY at the Istora Senayan in Jakarta, Indonesia. 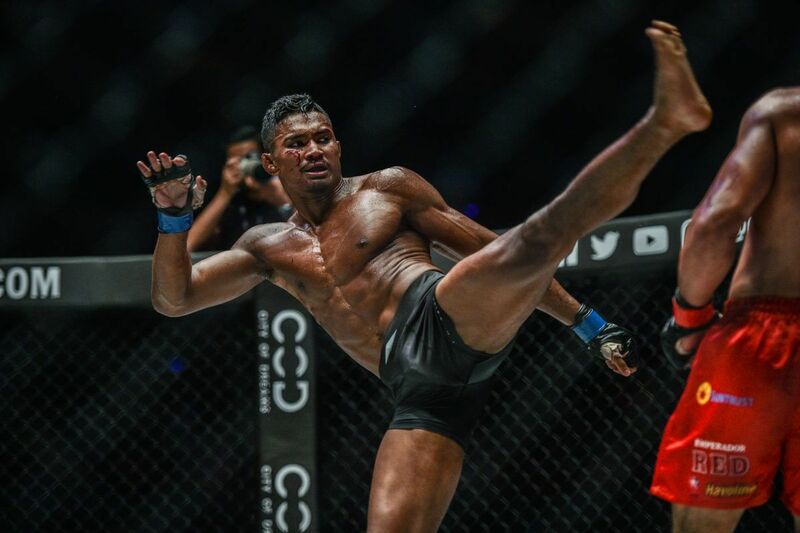 Taking on the battle-tested Alexi “Phet” Serepisos in a ONE Super Series featherweight Muay Thai match, Mongkolpetch was victorious via unanimous decision in his first bout outside his homeland thanks to a powerful display of striking – particularly in the clinch. 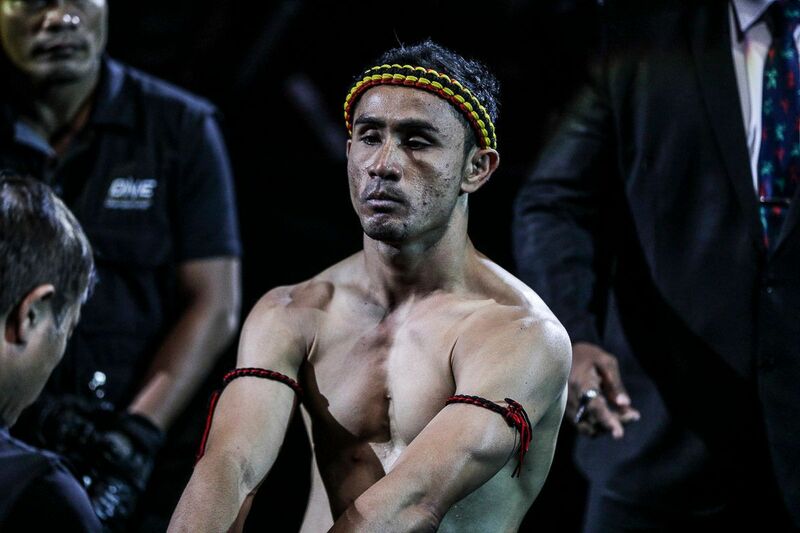 Throughout the bout, Mongkolpetch’s thudding leg and body kicks reverberated around the Istora Senayan. When he locked hold of Serepisos, fans held their breath as the Kiwi absorbed a series of hard knees. Serepisos, however, came into this bout with nearly a decade of competition under his belt, and like his rival, a record as a World Champion. His grit and momentous display of heart showed why he too deserved his chance to shine in the world’s largest martial arts organization. 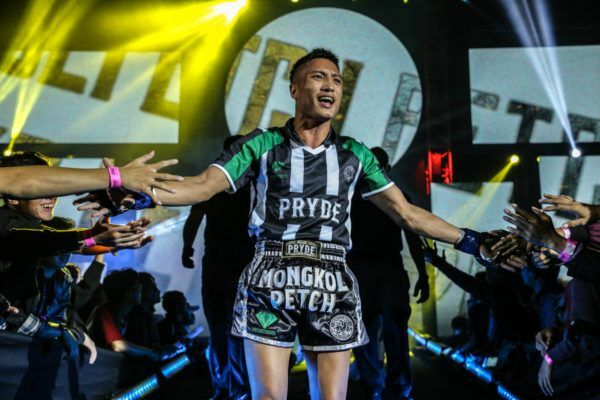 Despite “Phet’s” efforts, Mongkolpetch earned a clear unanimous decision after three rounds. His performance was almost flawless, which makes his revelations about the difficulties he faced in the contest remarkable. “In the first round, I kicked my opponent’s elbow, and it really hurt my shin,” he says. “I had been focusing on my striking for this fight, but had to go back to the clinch where I felt most comfortable. 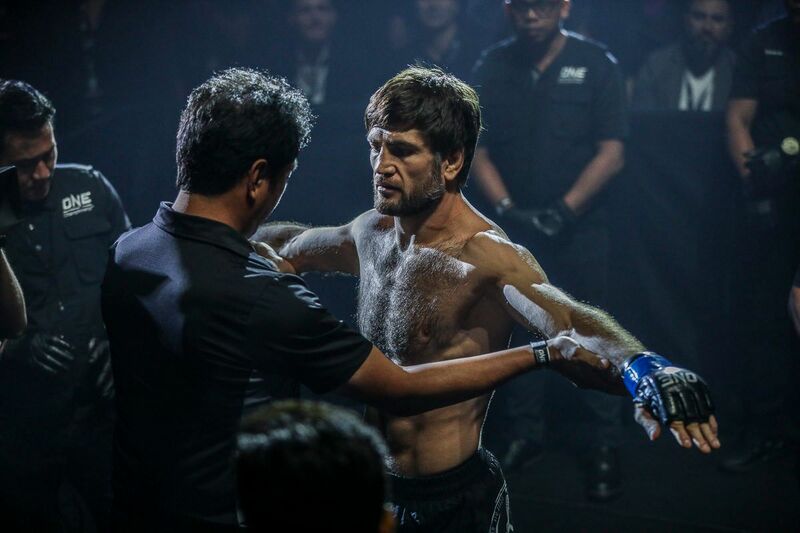 “Once I was able to grab hold of my opponent, I felt very confident in the clinch, so I changed my strategy. 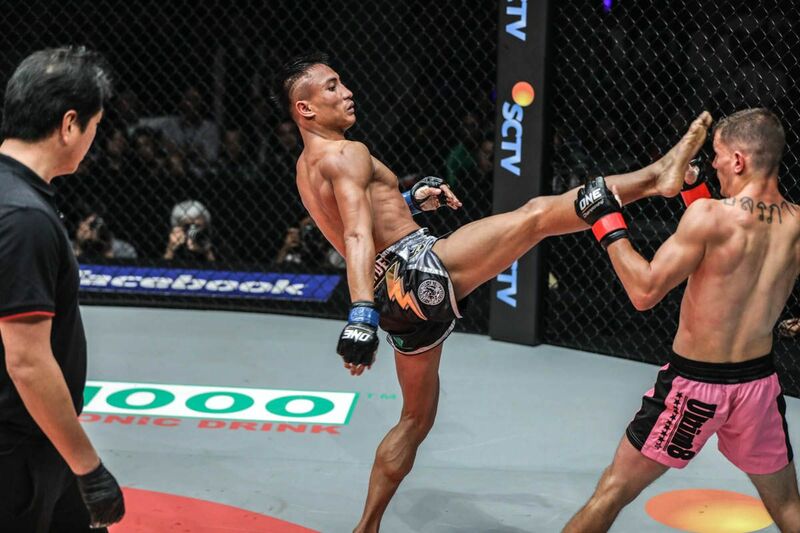 Having found success in close quarters early in round two, fans could see Mongkolpetch begin to enjoy his first experience in the cage. He was smiling at his opponent throughout their exchanges. “My opponent was really strong. He had a good heart, but his Muay Thai skill wasn’t on par with me. I won because of my experience,” Mongkoletch says. 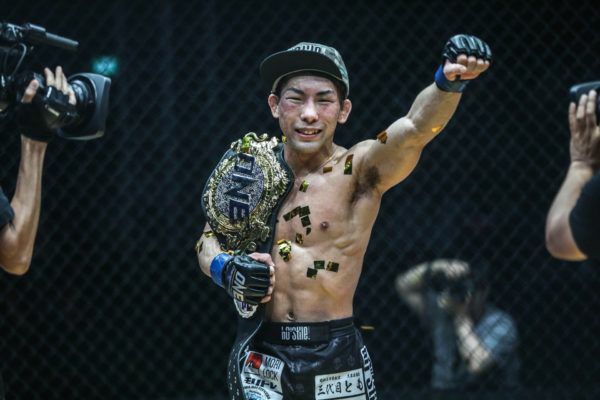 Though he was at home in the cage when the opening bell rang, the Petchyindee Academy representative explains that he felt like a fish out of water at first during event week. 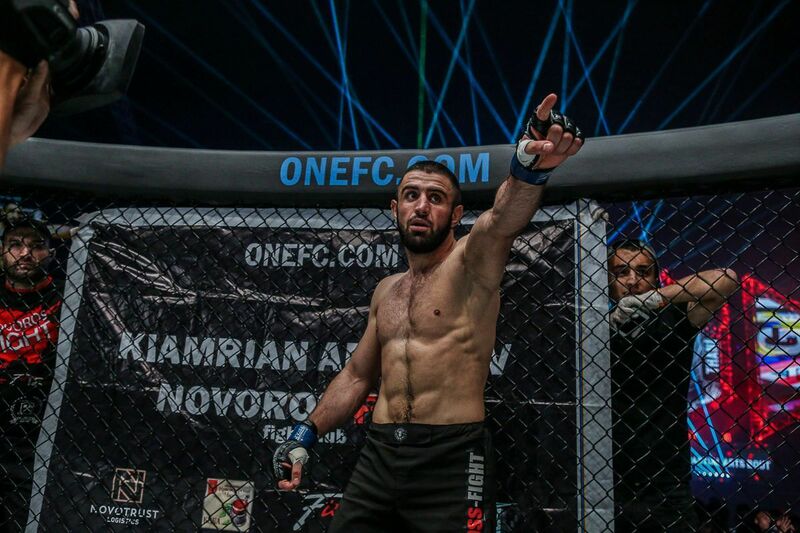 Despite a professional record featuring more than 150 bouts, this was his first experience overseas on the global stage for martial arts. He ended up finding many similarities between Jakarta and Bangkok, but the young Thai had not known what to expect for his first journey abroad, and planned ahead. “The food wasn’t too different from what I am used to in Thailand. I ate a lot of meat and rice,” he says. As he relaxed into the process, he absorbed every minute of his journey abroad, and now, Mongkolpetch reflects fondly on the new experiences. “I was so confused when they called us to go and test out the cage. In all my years fighting, I had never done this before in Thailand,” he admits. 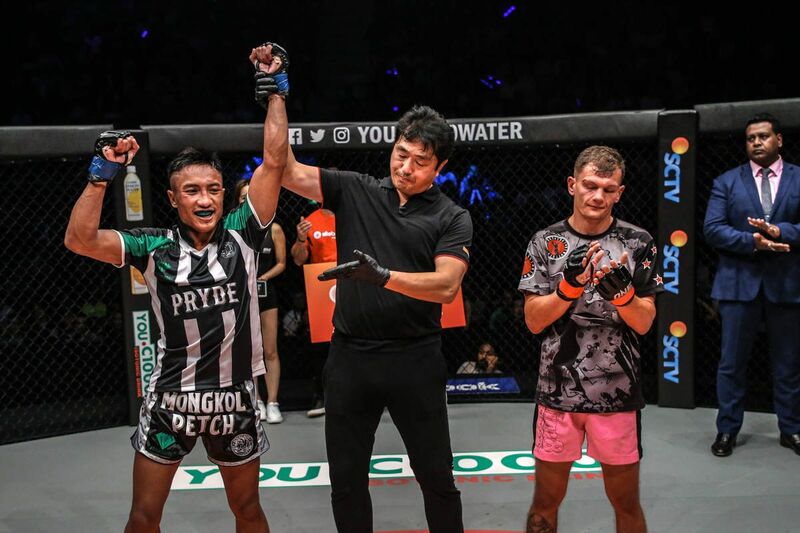 Now he is used to his new surroundings and has his first win under his belt, Mongkolpetch is looking forward to a long and successful run in The Home of Martial Arts. “I want to win as many fights with the promotion as I can and earn myself a title shot,” he adds. Before that, Mongkolpetch traveled home to enjoy some much-needed rest and relaxation in Roi Et, which includes his mom’s home cooking. However, after just a week at home with his family, he will head back to the gym – back to work in preparation for the challenges ahead. The 23-year-old is confident, but he will not rest on his laurels. “If you want to be a fighter, it’s all about hard work. Talent is secondary,” he says.